← Apple vs. Samsung: What’s an Idea Worth? It's easy to see this at work today when we look at some of the big business successes and failures of the past few years. Think of the success that IBM has had in changing its business direction by shedding its PC business and focusing on new opportunities. Then compare that with the struggles that HP has had by doubling down, and trying to “fix” its troubled business units. If your focus is on solving problems, you are in fact feeding your failures, while at the same time starving your strengths. The best thing that happens by solving problems is restoring the status quo and quite possibly starting the problem cycle all over. On the other hand, exploiting opportunities leverages your strengths and produces results. 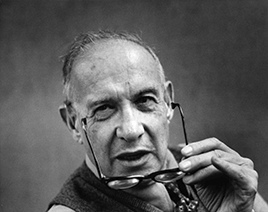 Realistically, Drucker's point was where you focus your efforts. He didn't recommend ignoring problems. He just suggested that you not focus on them. Problems need to be solved in order to prevent damage. However, just remember that when you patch that hole, you may have stopped a leak, but you did nothing to create growth. If you feel like you're spinning your wheels and think you may be caught up in a vicious cycle, you're not alone. Problems demand your attention. Opportunities just sit out there and are perfectly happy being ignored. Is it time for a fresh perspective? If so, you should consider getting some outside help to explore opportunities. Having a pair of fresh eyes look at your business will at a minimum confirm that you are on the right track, and could change your future. This entry was posted in Business and tagged ideas, improvement, innovation, marketing, productivity, sales management, sales training, social media. Bookmark the permalink.